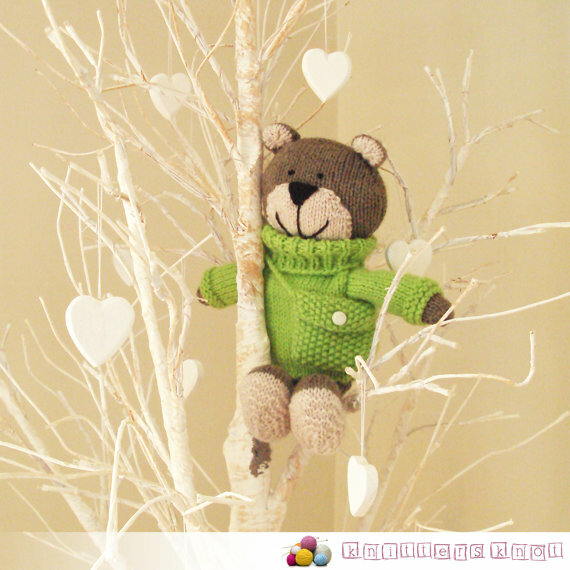 Brinkley is a hand knitted Teddy Bear wearing a green jumper and matching green satchel with a small button. Brinkley loves going to bear school and keeps all his goodies in his satchel. He is approx. 28cm/11inches tall and his facial features are stitched on. 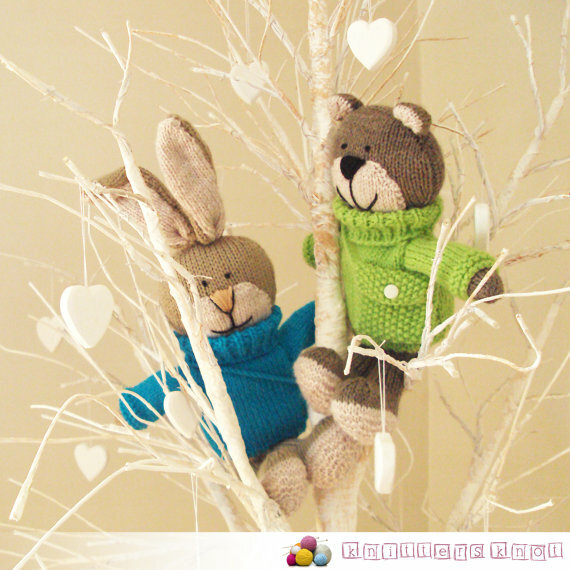 He is knitted with acrylic yarn and is stuffed with polyester toy stuffing. Hand washing is recommended. He has been crafted in a smoke-free and pet-free home.